Smooth Group Move – Dwight D. Eisenhower once said that “Planning is everything.” The initial blueprints for the 1944 invasion of Normandy, in which the general moved over 132,000 ground troops across the English Channel, were first presented in July of 1943. Even though your group move will not be of D-Day proportions, it will still require advanced planning and ongoing support to accomplish your mission. Group move success is not just measured in how many people you move from point A to point B. You need to ensure that your business goals are met. These may include the retention of talent, meeting budget guidelines, minimizing disruptions, and guaranteeing the happiness of the transferees and their families. 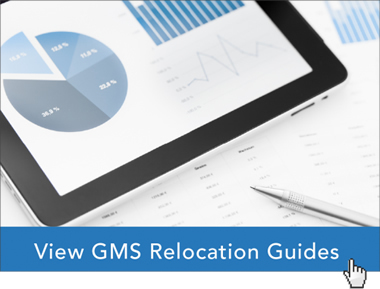 Although there are specific steps that can be taken in each unique phase of an employee relocation, there is some overall planning that must be considered to ensure a successful group move. It is important to start with developing customized resources for you and your employee population considering the move. This approach allows for stakeholders to fully understand the relocation programs available, the process and host location insights for decision making. Employee surveys to assess the needs of your transferees prior to program development. The design, development, and implementation of corporate relocation policies that focus on competitiveness, cost efficiencies and alignment with goals and objectives. Budget development and oversight that identify and quantify mobility cost with other best practice group move programs, as well as provide savings and containment recommendations. Site surveys of the new location with special attention to schools, housing, cost of living, etc. Announcements and communications templates to ensure that transferees are properly informed every step of the move. Group area orientations that include housing tours, school visits, etc. Household goods shipment surveys to take into account all of a transferee’s personal belongs to be shipped and deliver an inspection-based cost summary to be used for budgeting, accruals, and cost impact analysis. Global relocation analysis reports include a comparable analysis of consumables, transportation, goods and services, housing costs, etc. in order to provide realistic expectations of the cost of living in the destination location versus the origin location. Educational assessments offer comprehensive consultations with the relocating families and follow-up discussions about schools and education concerns the families may have. Policy counseling and needs analysis is conducted with every smooth group move. During this initial conversation, your RMC should conduct a comprehensive needs assessment and provide a detailed review benefits and procedures, as well as identify any special needs that will need to be addressed. They should also discuss any concerns that the employee may have about relocating so that the RMC is best prepared to help along the way. Home Disposition can provide your employees with global home sale and property management assistance services. Destination Services ease transition to countries worldwide, freeing up the employee to concentrate on the business mission. Your RMC should deliver a comprehensive and worldwide array of global relocation services including area tour/orientation, home finding, school search and settling in. Global Travel Services allow your RMC to coordinate global travel services with client or network partners, including: airport transportation, rental car, airline travel and hotel. Meet and Greets arranged at the destination airport provide pick-up and accompanied transfer to the residence. Includes: Ground transportation for relocating employee and/or family to a hotel, temporary housing, permanent residence or other destination per instructions. This service can be provided as part of a bundled area tours, home-finding or settling-in program, or provided à la carte. Area tours and orientations provide an overview of the new community and local amenities to assist in deciding about the assignment. This could include any of the following: Welcome packet and information on assignment location, tours of neighborhoods and typical housing, school tours and information (if applicable), locating grocery stores, medical facilities, places of worship, etc., security briefing. Home finding assistance with finding suitable housing in accordance with personal preference and policy, facilitate the preparation and signature of an appropriate lease and manage all move-in formalities. This could include any of the following: Needs analysis, pre-screening properties (within budget), accompanied property viewings, lease negotiations, utility connections, walk-through support, and furniture rental assistance (if needed). Auto leasing/purchasing service programs and long term rental solutions provide assignees with car leasing/purchasing of new/used vehicles, any make or model. In many cases, local credit scores, or even driver’s licenses, are not required. Schooling searches will help assess the suitability and availability of local area public or private schooling and to assist with registration and entry requirements. This could include a briefing on different school systems, organizing appointments with administrators, assisting with enrollment, etc. Global transportation services provide multiple estimates to drive competiveness without compromising quality. Global temporary housing coordination assists the relocating employee in selecting and securing temporary accommodations within policy. Based on your relocation policy, accommodations may include hotel, extended stay and corporate housing at different facilities around the world. After the transferees involved with your smooth group move reach their destination, your RMC should continue providing value-added programs to ensure that they and their families thrive in their new location. Settling-in assistance can provide an orientation to the new community, local amenities, utilities and government registrations. This could include bank account set up, driver’s license and vehicle registration, public transportation assistance, smart phone transfers, telephone and utility setups, registration of public utilities, assistance with sourcing local services, expatriate networking association assistance, and more. Cultural and language training can be offered through instructor-led sessions or self-paced, web-based learning. This allows transferees and their families to understand the cultural nuances of the destination location and effectively communicate with the people there. You might think that this looks like a lot of planning to pull off a successful and smooth group move. You’re right. However, a world-class RMC with award-winning breadth of programs and customer service can easily guide you through every step of your move – whether relocating one employee across state lines or moving a small army of talent across the English Channel, to ensure a smooth group move. For information about how Global Mobility Solutions can make your smooth group move easy and stress-free for you and your employees, please contact us today.